With the cooler months approaching, I’ve been craving hearty, warm dishes. 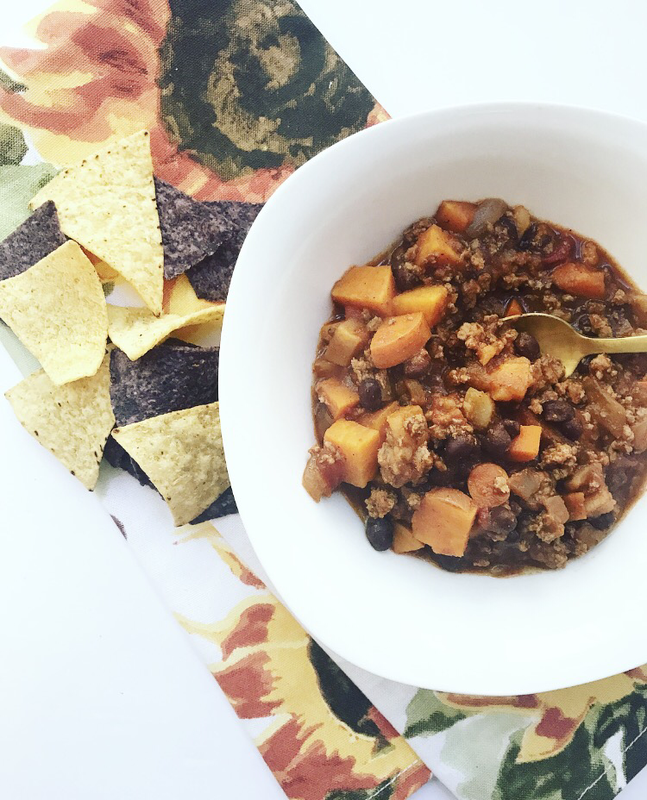 I love fall and all that comes with it, especially comforting soups and chilis. This chili was the perfect way to end an eventful day, and the best part is that it requires minimal effort, and little to no culinary skills. 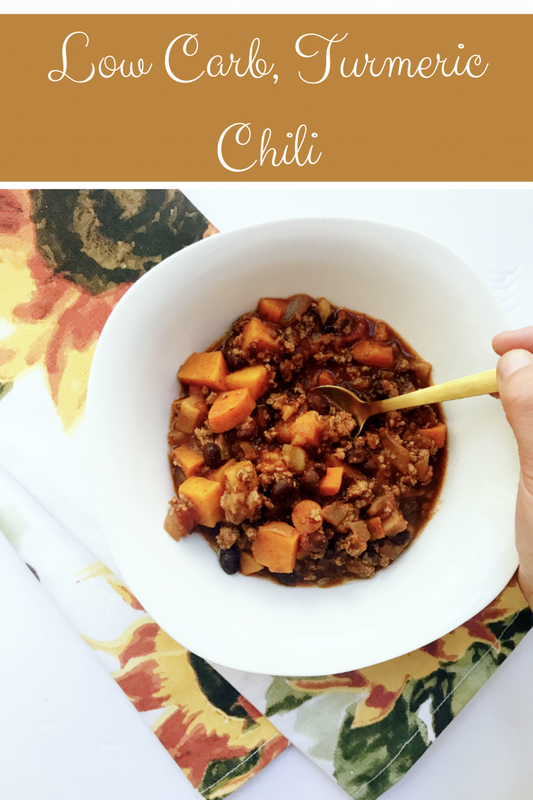 I made this chili using my absolute favorite kitchen appliance- the instant pot, but it can be done using a crockpot or stovetop. Simply cook your chili on low for 6-8 hours in the crockpot, or high 2-3 hours. For those of you who are interested in an instant pot, put it on your Christmas lists. Seriously, do it! This appliance saves so much time and effort. It has become my go-to kitchen tool, and is used even more than my vitamix (which says a lot). To start your chili, begin by sautéing the onion and ground beef until browned. If using an instant pot, set your pot to the setting ‘Sauté.’ While this is cooking chop up the sweet potatoe and carrots. After the onions and meat have browned, add all other ingredients into the mixture. Switch your instant pot to the’Manual,’ setting and set your time to 15inutes. When the time is up, perform a quick release. 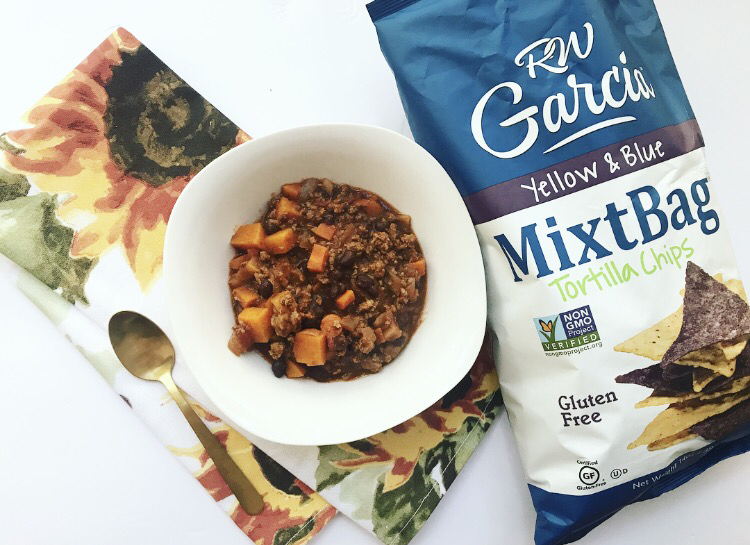 Serve your chili with cornbread, tortilla chips, salad, avocado, or rice. Enjoy!